Located far enough away from large resort complexes, Peppertree Sea Mystique invites you to enjoy the serenity of Garden City. If you are one of those people who just wants to relax and get away from it all, here is your answer. All the excitement of Myrtle Beach is just minutes away from this little paradise, and the beach beckons at your doorstep. 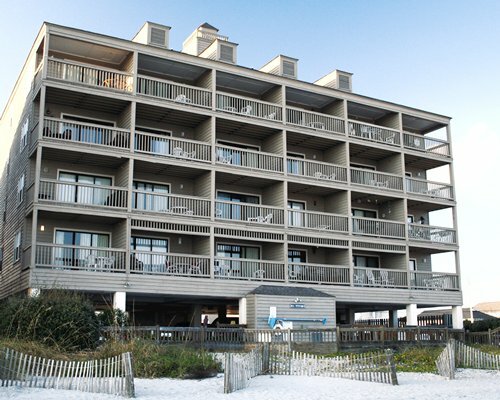 The nearest commercial airport is Myrtle Beach Int'l, about ten miles away. From the airport, take Hwy 17 Bypass south to Hwy 544. Go east on Hwy 544 to Hwy 17 (Business). Go south on Hwy 17 (Business) to the fifth stoplight which is Atlantic Ave. (The sign for Atlantic Ave is very small. At this intersection, you will find the Garden City Pancake House and a Krispy Creme Doughnut). Turn left on Atlantic Ave. Proceed 8/10 mile. Check-in is at the Seawatch Inn which is on the right. Obtain your check-in package and directions to Peppertree Sea-Mystique. 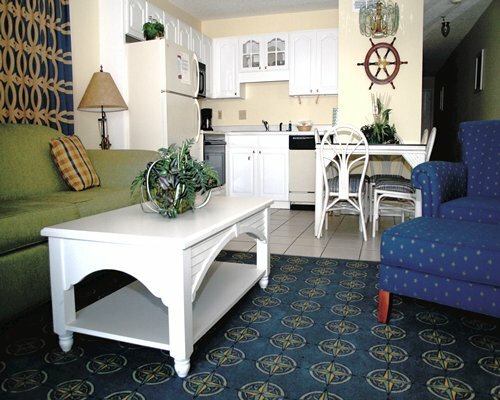 Sea-Mystique is approximately 1 mile from the check-in location.